The goal is to win more of the assets that customers keep at rivals such as JPMorgan Chase & Co or Bank of America Corp. Right now, just 1 percent of Morgan Stanley’s more than 3.5 million wealth management clients actively use its retail banking products. The effort may leave it looking a little more like a conventional bank, a move that regulators have been encouraging since the crisis. Its chief rival, Goldman Sachs Group Inc, took a similar step in August, when it agreed to buy General Electric Capital Bank’s online deposit business. The move is also likely to boost the bottom line – clients who actively use Morgan Stanley’s banking products hold on average 7 percent more assets at the firm than those who don’t. The annual fees that customers pay are often based on a percentage of the client’s assets at the firm. That fee income tends to be relatively stable over time compared with many investment banking businesses. The importance of stable results was driven home for the bank’s investors last month when it released third quarter earnings that showed revenue in its bond trading business plunging 42 percent, excluding an accounting adjustment that investors often ignore, while revenue in its wealth unit, which includes brokerage fees, interest income, and other items, fell just 3.5 percent. Morgan Stanley’s fee income and commissions have been falling since the beginning of 2014, which the bank has made up for by generating more revenue from areas including lending. After multi-billion dollar trading losses brought Morgan Stanley uncomfortably close to failure during the financial crisis, the bank agreed to buy Citigroup’s Smith Barney business in pieces starting in 2009, turning its retail brokerage business from being an afterthought into the source of about half the bank’s revenue. Goldman, by contrast, remains much more heavily reliant on bond trading, stock underwriting, and other traditional investment banking businesses to drive its bottom line. Investors seem to be siding with Goldman Sachs now – its shares trade at about 1.15 times their book value, an accounting measure of their net value, while Morgan Stanley’s trade at about their book value. In addition to fee income, banking products offer more deposit funding for Morgan Stanley, which regulators view positively. During a financial crisis depositors are less likely than corporate bond investors and other lenders to flee when trouble is brewing in markets or at a bank. When rates rise, deposit funding is often cheaper than other forms of borrowing. Tom Duffy, who heads banking services within wealth management, says his product development team has more than doubled to around 34 since he joined the bank in 2011.Morgan Stanley’s overall deposits, at around $147 billion, fund a much smaller portion of its balance sheet than most other banks – its deposits equal about 18 percent of assets, compared with more than 50 percent for both JPMorgan Chase and Bank of America. Winning more client assets may not be easy, analysts noted. “It’s a lofty goal to be the primary bank for every one of their wealth management clients,” said Glenn Schorr, an analyst with Evercore ISI. But even if the bank wins just a sliver of business from customers, Morgan Stanley will be better off, he said. Boosting retail banking products will help to expand wealth management’s profit margins. Last quarter, the pre-tax margin in the wealth business rose to 23 percent, at the lower end of the bank’s long-term goals, and in line with Bank of America’s wealth unit over the same period. In addition to adding executives to Duffy’s product development team, Morgan Stanley hired eight cash management specialists and sent them to 60 wealth management offices around the country earlier this year to train financial advisors and their support staff about the firm’s different cash management products. It has also built up customer service teams of more than 50 representatives in Salt Lake City and Columbus, Ohio, and who answer clients’ questions about everyday banking. This isn’t the first time Morgan Stanley has dealt with retail products. In the late 1990s, it merged with Dean Witter, Discover & Company, giving it a retail brokerage and a credit card business. The bank spun off Discover in 2007. It began ramping up its lending business, and views its latest push into retail banking products as the next step in its bringing its business more in line with Bank of America’s Merrill Lynch, for example. It still has ground to gain. 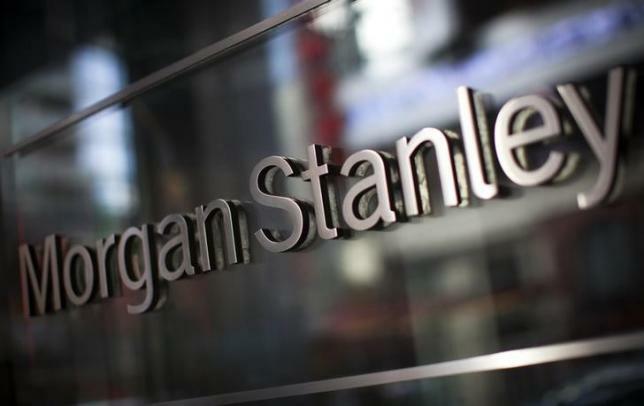 Interest income at Morgan Stanley’s wealth management unit in the third quarter was $777 million, compared with $1.38 billion at Bank of America’s global wealth and investment management unit, which includes Merrill Lynch wealth management, U.S. Trust and related businesses.